An important article, viewed from the perspective of Dreiser studies, has just been published. It provides new information about the possible, if not likely, identity of a lover of Theodore Dreiser’s older brother Paul Dresser, the songwriter. Paul Dresser wrote a popular song, “My Gal Sal,” in 1905, which, with the exception of another one of his songs, “On the Banks of the Wabash, Far Away,” is Paul’s best known song and which was a hit in its day. The song is about Paul’s lover, who was said to be the madam of a house of prostitution in Evansville, Indiana. The article refers to ongoing research that has been pursued doggedly by New York Times Magazine writer John Jeremiah Sullivan and his research assistant Joel Finsel. In his autobiogaphical work Dawn, Theodore Dreiser identified Sal, Paul’s lover, as Annie Brace, a madam whose working name was Sallie Walker. Through painstaking sleuthing, Sullivan believes he has discovered the identity of the real Sal. My thanks to Tamie Dehler for informing me about this article. This entry was posted in biographical (including posts with fragmentary but potentially useful biographical information about Dreiser, his family, or associates), Paul Dresser and tagged Annie Hildebrand, Annie Swonner, シオドア・ドライサー, シオドア・ドライザー, シオドー・ドライサー, シオドー・ドライザー, セオドア・ドライサー, セオドア・ドライザー, Charles Hildebrand, Clayton W. Henderson, Domenica Bongiovanni, Joel Finsel, John Jeremiah Sullivan, My Gal Sal, теодор драйзер, Paul Dresser, Sallie Davis, Theodore Dreiser on August 3, 2017 by Roger W. Smith. Composed by Dreiser’s brother Paul Dresser (1857-1906), “On the Banks of the Wabash” became the Indiana state song. 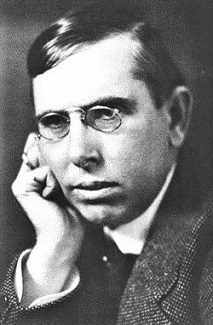 Theodore Dreiser claimed to have written part of the lyrics himself. For a discussion of this, see On the Banks of the Wabash: The Life and Music of Paul Dresser by Clayton W. Henderson (Indiana Historical Society Press, 2003). See also “’On the Banks of the Wabash’: A Musical Whodunit” by Richard W. Dowell in Indiana Magazine of History 66 (June 1970) and “Collaborating on ‘The Banks of the Wabash’: A Brief History of an Interdisciplinary Debate, Some New Evidence, and a Reflexive Consideration of Turf and Ownership” by Carol S. Loranger and Dennis Loranger in Dreiser Studies 30.1 (1999). Where I first received my lessons, nature’s school. Long years have passed since I strolled thro’ the churchyard. Still I’d give my future were she only here. Composed by Dreiser’s brother Paul Dresser, this song did not become a hit until after Paul Dresser’s death in 1906. The song is about Annie Brace (alias Sallie Walker), an Evansville, Indiana madam who was Paul Dresser’s paramour. “My Gal Sal” is also the title of a 1942 film produced by Twentieth Century-Fox that was based on Paul Dresser’s life and which draws loosely on Theodore Dreiser’s affectionate memoir “My Brother Paul” in his Twelve Men. “My Gal Sal.” Composed by Paul Dresser. Performed by Joan Morris, mezzo; William Bolcom, piano. From the album “Moonlight Bay” (Albany Records, catalogue # TROY318). Used with permission of Albany Records. That shone just as bright as they did years ago. This entry was posted in music and tagged シオドア・ドライサー, シオドア・ドライザー, シオドー・ドライサー, シオドー・ドライザー, セオドア・ドライサー, セオドア・ドライザー, Carol S. Loranger, Clayton W. Henderson, Clayton W. Henderson "On the Banks of the Wabash", Dennis Loranger, теодор драйзер, Paul Dresser, Paul Dresser "My Gal Sal", Paul Dresser "On the Banks of the Wabash", Richard W. Dowell, Theodore Dreiser on February 26, 2016 by Roger W. Smith.